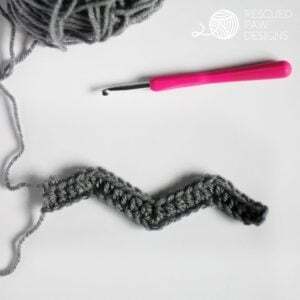 Make this ripple crochet pattern today with the free tutorial below! Happy crocheting! 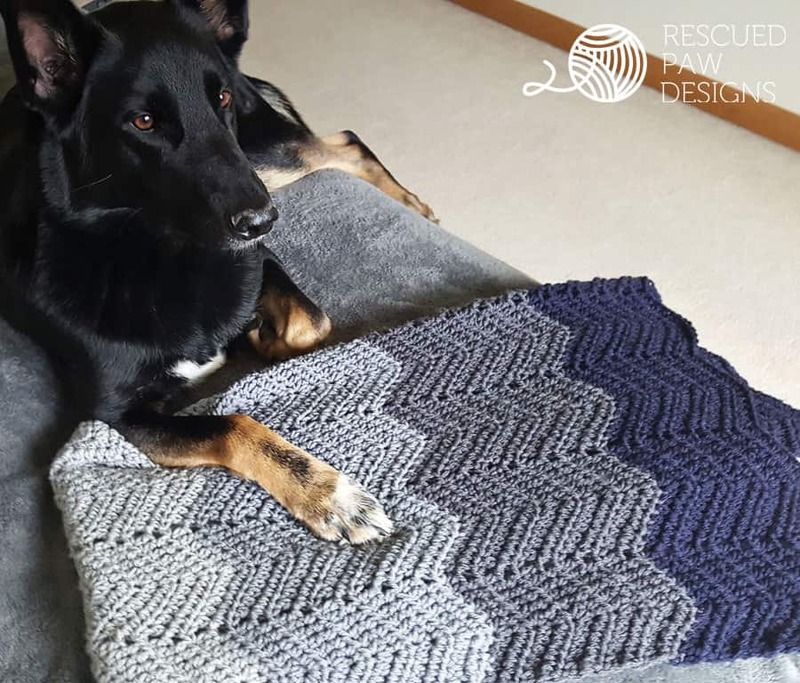 This ombre ripple crochet blanket pattern is fast to work up and can be made in a variety of colors like the one shown or all in one color for a seamless classic look! 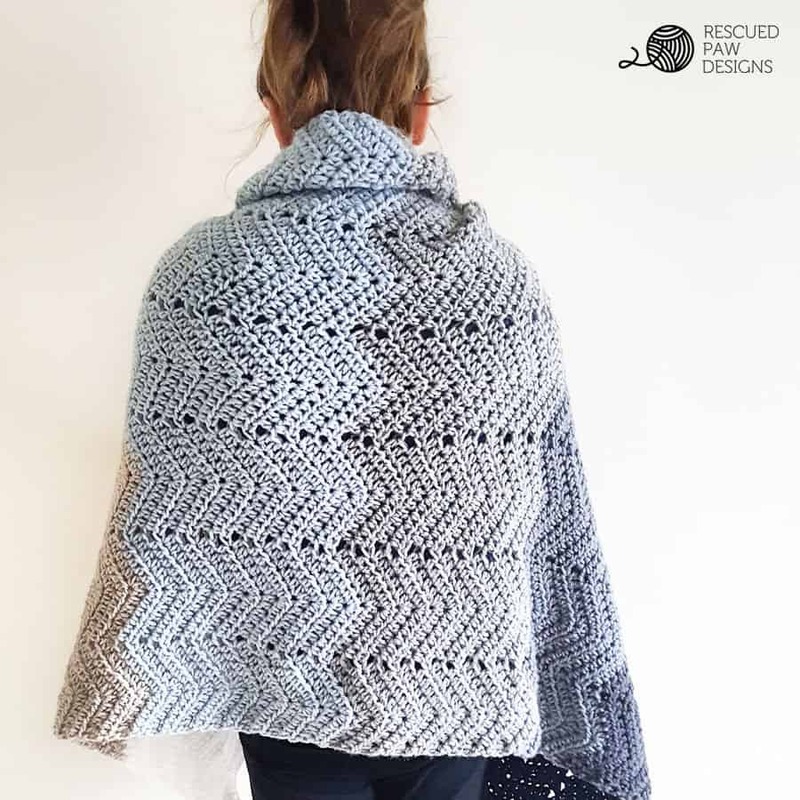 Scroll on down to find the full free easy ripple crochet blanket pattern and get started today! I am a huge fan of color block blankets and this one is no exception. 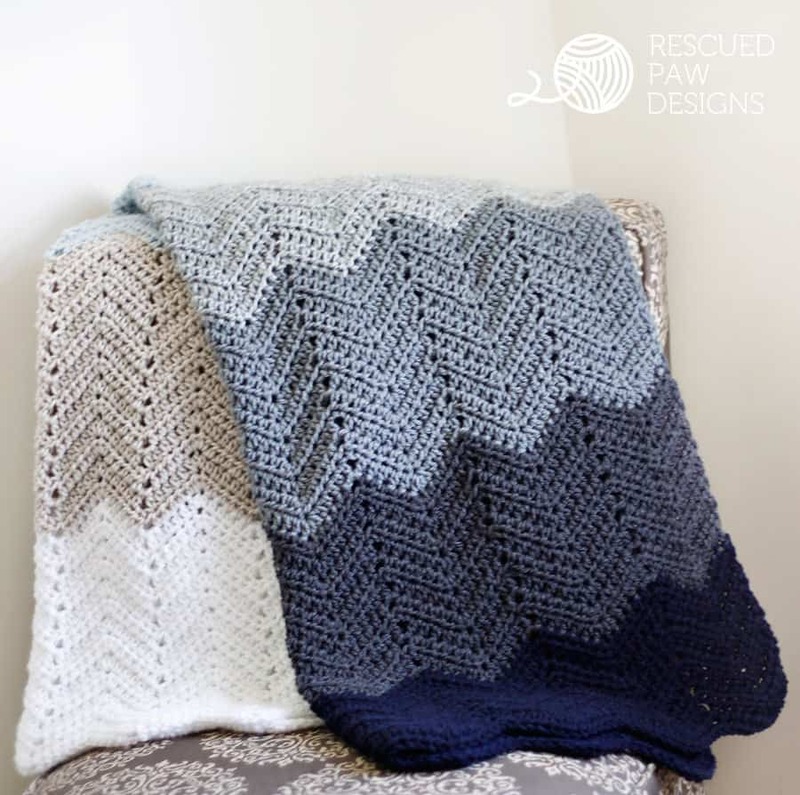 This easy crochet ripple blanket is worked up with all different shades of blue yarn which gives it a unique fading ombre effect. 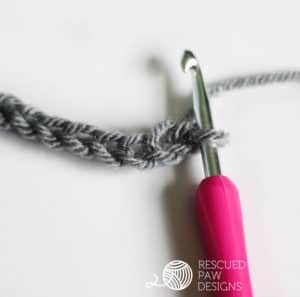 The ripple stitch used for this crochet design is simple and works up fast once the first few rows are done. No resisting these Yarn colors! You may like this crocheted blanket too.. 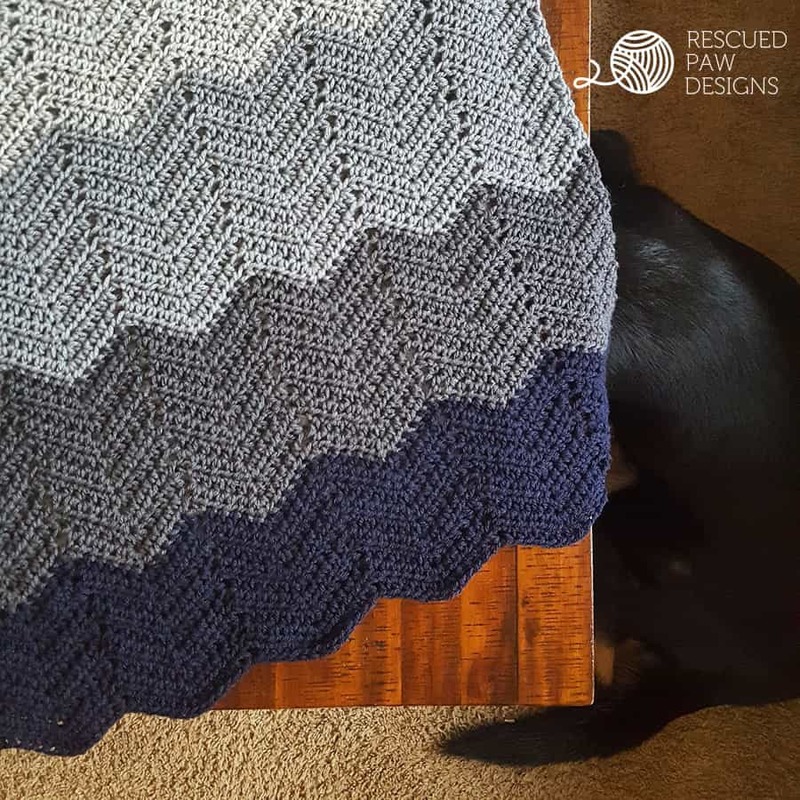 If you like this one then you may also like my Color Blocked Simple Blanket Pattern that uses ONLY single crochets! (super super easy!) 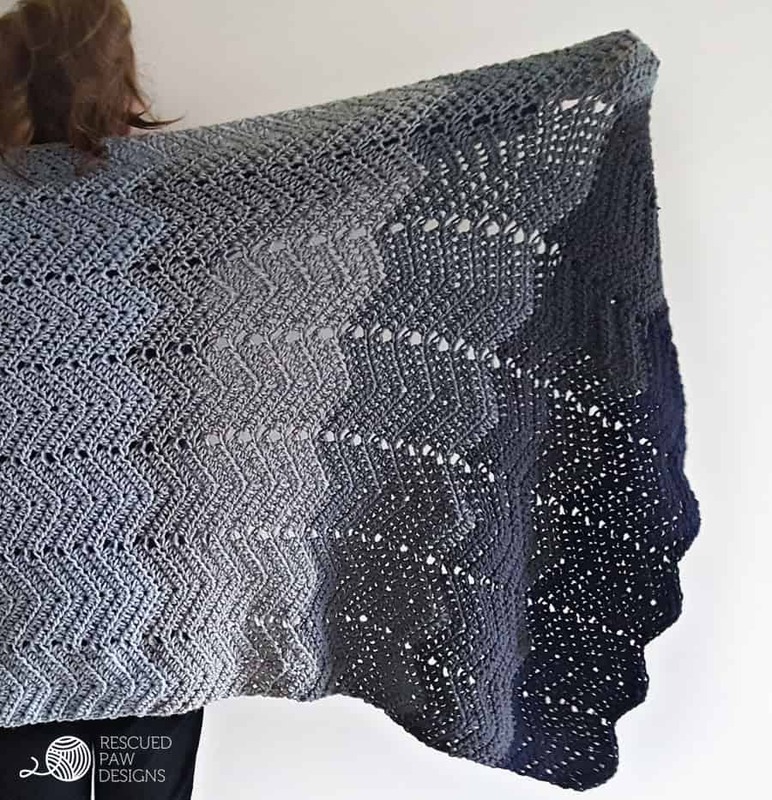 But, back to the ripple design… this crochet pattern (free of course!) 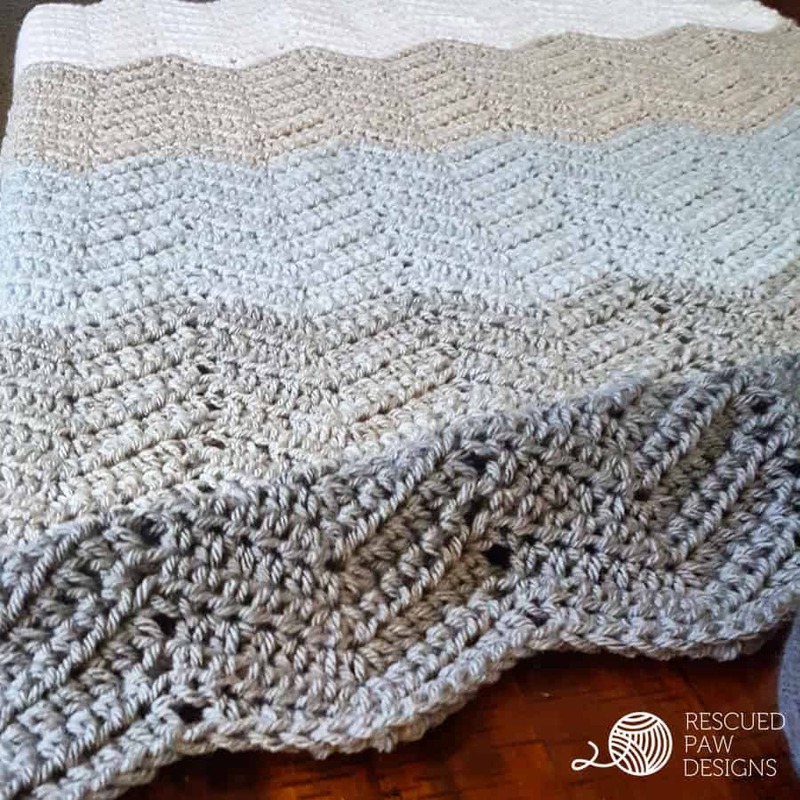 is one of my favorite all time designs and I am so happy to share this fun easy ripple crochet blanket pattern with you! Click Here to purchase an AD-FREE PDF of the Ombre Ripple Pattern! 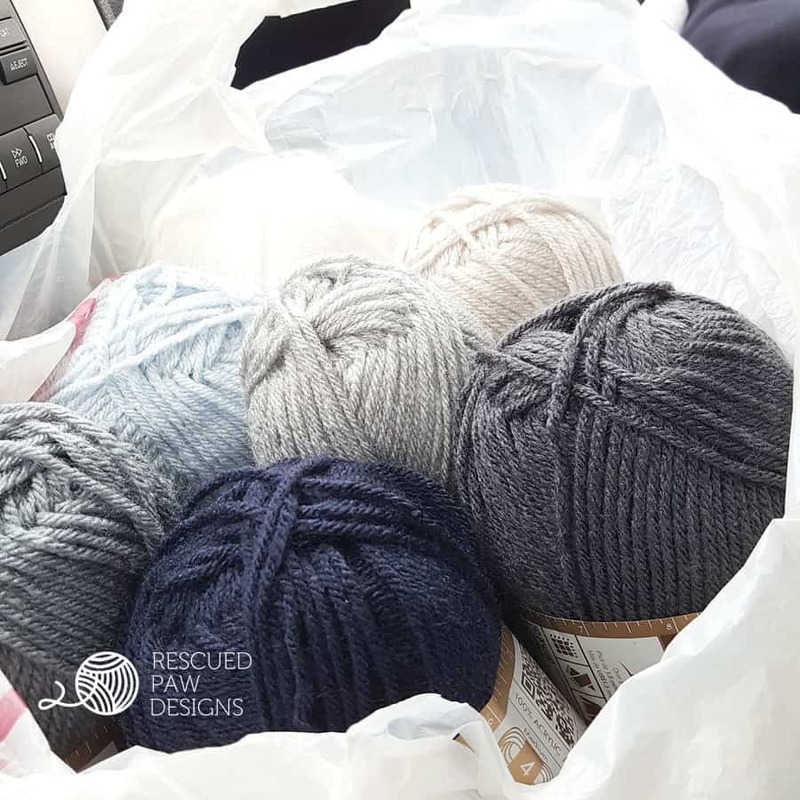 Lion Brand Vanna’s ChoiceYarn one skein in each color, Silver Blue, Linen, Navy, Silver Heather, Silver Gray, Charcoal Gray and White or any worsted weight (4) yarn. Need help changing colors? Try our tutorial! “Click Here“. Add this pattern to your Ravelry library “here“. If you love the pattern, but hate the ads, then click on over to my Pattern Shop to purchase an AD -FREE PDF! I hope you enjoyed this ripple crochet blanket and as always thank you for stopping by! If you have any questions about this blanket, please send me an email or find me over on Instagram! 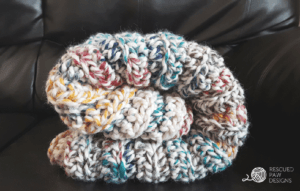 Chunky Crochet Blanket in 5 Sizes! Thank you for taking the time to share this. I am super excited to give this a try. Love this! I am going to try this for my next blanket!. Your dog is beautiful also. I love seeing pics of them on IG. Wow, Krista! Love your design… , I’ve become a fan of ombre ripples lately, so I think I’ll give it a try in greens to match the ‘deco’ in my living room, I’m sure it’ll look great! Your work is beautiful! I am back to crocheting after many years away from it, so sort of learning all over again. Your patterns and tutorials are super easy to follow and are helping me refresh my skills. I have saved this pattern to try since I need to teach myself the chevron/ripple effect. I LOVE your style, colors and the fact that you love & rescue dogs makes me love you too! I have 3 dogs & 4 cats, plus a neighbor cat that lives at our house part time (because we take good care of her). I’m an animal magnet, which can sometimes make crocheting a bit challenging. Thanks so much for sharing your talents, I look forward to seeing new patterns for my collection. Krista this is really beautiful. Thanks so much for sharing your wonderful work with us. Love the colors! Also, thank you for the foundation row modification. I can’t make it just 30″ wide so starting with 129 instead (and a J hook). Hoping to post pics when it’s done. I’m having a hard time putting it down! 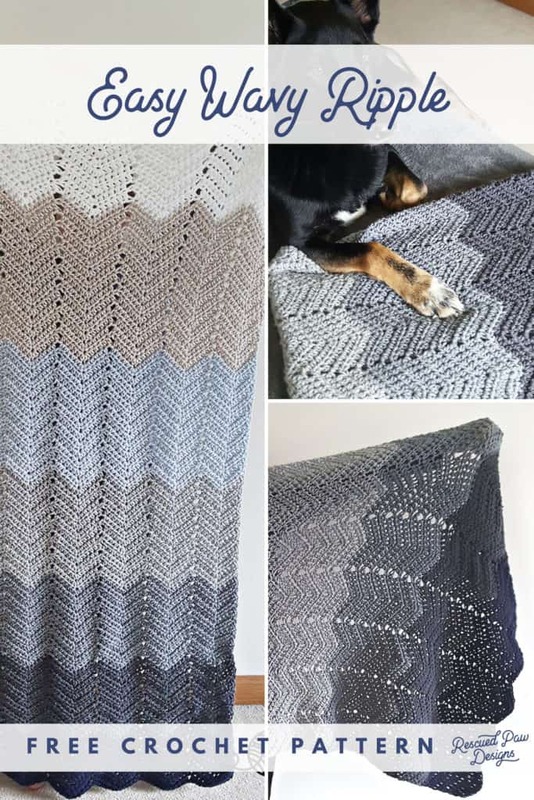 Thank you for sharing this lovely ombre blanket pattern. I have asemble the yarn needed and Im looking forward to making it for my daughter as a gift. I have just one problem, row two is covered by a picture of a stich tutorial. Is there anyway you can give me those instructions? Thank you. Hi krista, disregard my previous question, I found the full pattern on ravelry. Thank you. 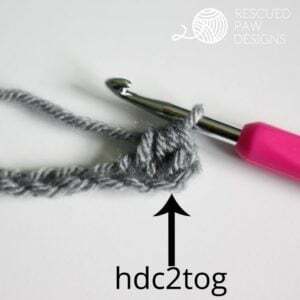 Do we stop with 5 sts at the end no matter if the section of the pattern is completed or should it work out evenly that we finish the hdc in 5sts & then there will be 5 left.